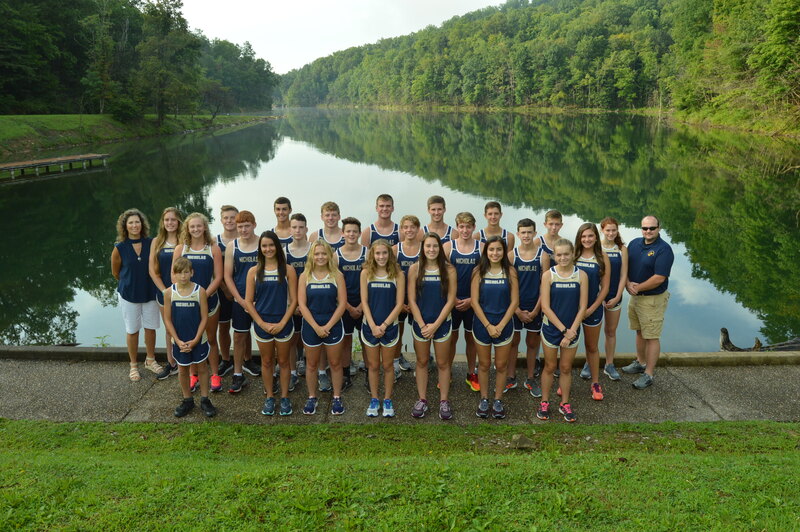 The Nicholas county cross country team aims for success this season with extensive practice and their support for one another. So far, the team has placed during every single meet. Team member Michaela O’Dell says their success is based on “having fun, practicing, and working hard.” The group practices on a very different schedule: on track day, they run sprints; on tempo day, they run for an hour and a half; on hill day, they work their muscles by running steep hills; finally, they have a normal day at practice that consists of long runs and many trails. As a teacher and coach, Mrs. Gatewood has pride in her team since it takes hard work from both sides to “keep up with sports from a student and a teacher’s perspective.” Although it’s only her second year coaching the team, her impact on the runners has been nothing but positive. Meets are stressful, so having a good routine is key. Most last around two hours since the boys and girls run separately then sit through awards. Although the meets are long and full of surprises, the team pushes through with pre-race prayers and a lot of water.